Rita Ora has announced the details of her second studio album, ‘Phoenix’ out on 23rd November via Atlantic Records. Brand new single ‘Let You Love Me’ will be released on the 21st September. Co-written by Rita herself, new single ‘Let You Love Me’ is a mid-tempo pop-anthem, revealing her insecurities in a new relationship. 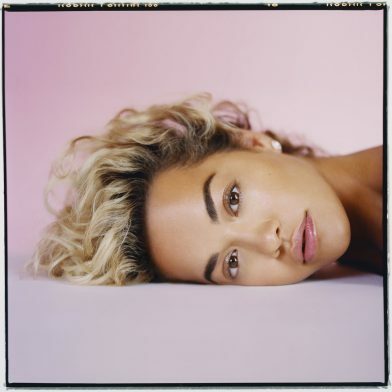 It is one of Rita’s most intimate tracks to date and one that allows you to hear the strength of her vocal performance as she lets her guard down and shows her vulnerable side to love. With soft vocals against vibrant synths, the track shifts between delicate verses to a dance-driven chorus, perfectly conveying her wish to let herself be loved. It has been a momentous year and a half for Rita – following a sold out European tour and an incredible summer playing to millions of fans with over 33 live dates, her latest five hit singles have amassed over 1.3 billion Spotify streams worldwide. Global hit, ‘Your Song’, written by Ed Sheeran and Steve Mac has reached more than 352M streams alone – it is also her biggest hit in Europe and was a Top 10 smash in the UK singles chart. Following on from this, she released a global Top 10 hit in August, ‘Lonely Together’, a collaboration Avicii. Her single ‘Anywhere’, released last October, earnt a #2 spot in the UK. Further collaborations with Liam Payne for the the Fifty Shades Freed Soundtrack ‘For You’ became her fourth Top 10 hit, as well as her girl-power anthem ‘Girls’, which saw Rita team up with Cardi B, Bebe Rexha & Charli XCX to achieve yet another global success. These hit songs will be featured on her upcoming album ‘Phoenix’ in November.